IBT maintains a vast inventory of industrial, hydraulic and material handling hose and fittings. We have the ideal hose for each medium – and for each hose, the right fitting. We offer top-quality, comprehensive selections of air, water, chemical, steam, petroleum (oil), hydraulic, grain vac, food transfer (Liquid/Dry), and ducting hose solutions as required daily or seasonally by grain facilities and coops. Additionally, as a STAR-Certified Hose Distributor, we can complete and test hose assemblies in-shop according to your specifications. Give us a call; Our team of hose experts is standing by to help you find the right grain hose for your application. Heavy-Duty Polyurethane – Premium-quality material handling hose designed with a thick, smooth polyurethane lining. 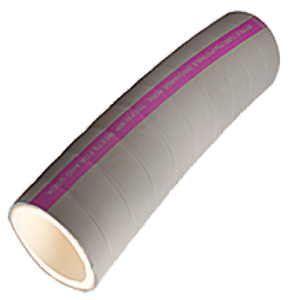 Ideal for dry applications where high abrasion resistance is required. The cover is blue HMW PVC, formulated for static dissipation; provides flexibility in sub-zero temperatures. 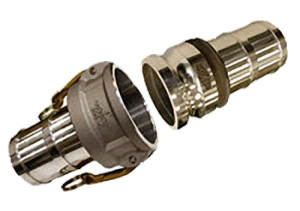 Full Custom Hose Assemblies – Custom size and length hose assemblies are available from our vendors along with standard and custom size spout/chute end sleeves and transitions. Kuriyama is the industry leader for Agriculture Grain Service, manufacturing multiple types of interlocking hoses that include unlined, lined and flexible versions, designed to meet your application requirements. 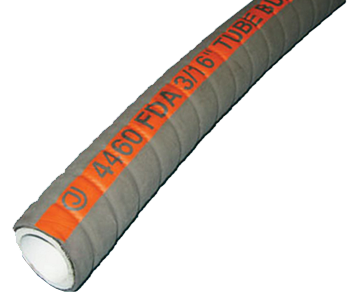 TigerflexTM – This heavy duty SBR wet or dry material handling hose uses specially-engineered compounds which provide the ideal combination of excellent abrasion resistance, lightweight, flexibility, static dissipation and superior long-lasting durability. All these attributes make for an excellent Grain Vac Hose. Continental ContiTech’s expertise in design and material engineering are the basis for the safe and smooth transportation of all media. Their high quality hoses for industrial and commercial applications have proven themselves for decades to withstand continuous use under the most grueling conditions. They are characterized by their reliability, safety, long service life and easy, trouble free handling. The IRPG team at IBT Industrial Solutions custom-fabricates and services conveyor belts every day—offering both heavyweight and lightweight options—for all types of industries. They also cut and crimp a wide variety of industrial hydraulic and pneumatic hose at our KC Hose Shop facility, which is a STAR-certified facility, exceeding criteria for cleanliness and hose safety. We’ve got the inventory and expertise to service all your belting and hose needs. For more information on the best grain hose for your application, contact Tim West, IBT’s Industrial Rubber Product Group Director, today!